This Saturday at UFC Fight Night 122, Michael Bisping steps back into the Octagon a mere 21 days after dropping the middleweight title to Georges St. Pierre at UFC 217. While many laud this action as a “warrior mentality” and praise him for his willingness to get back on the horse, some are wondering exactly how this has happened and whether he should be allowed to do so. Bisping's gesture is a testament to his mental fortitude, but this story seems like an example of when that fortitude puts a fighter in a dangerous position. 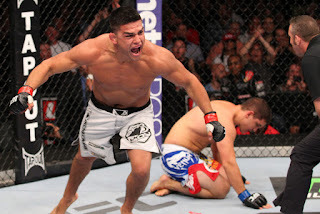 Everyone recognizes that combat sports as a dangerous profession. Stepping into a cage, ring, or any other venue to fight another highly trained opponent likely isn’t going to end well for at least one of the parties involved. But even though that’s the case, there are regulations in place to help protect those individuals from each other, and in some ways themselves. 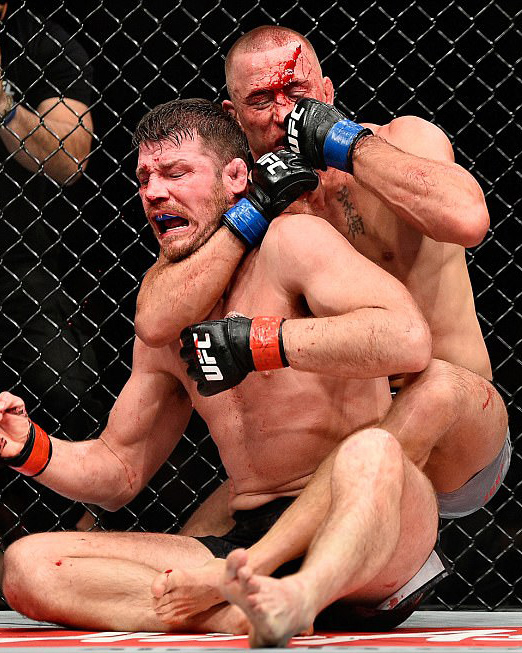 On November 4th, Bisping absorbed 59 significant strikes. 41 of those landed to his head, and he took 19 while on the ground. 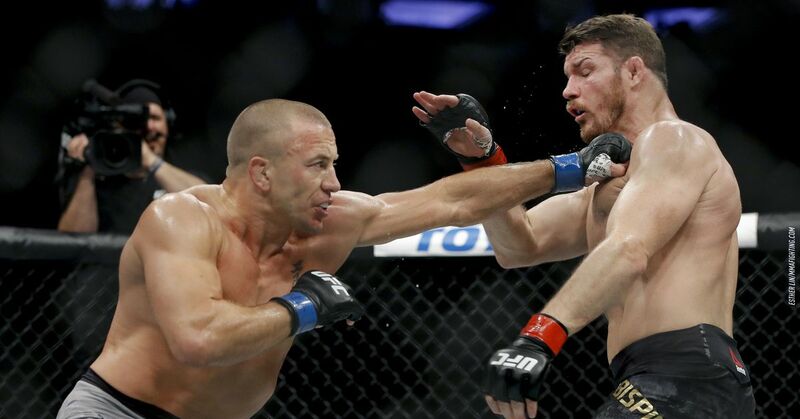 Many of those strikes were the elbows that St. Pierre landed to set up the transition to the rear naked choke finish. Yet even with all that damage, Bisping was medically cleared enough to take this fight against Kelvin Gastelum on November 25. How? What do these tests look like? In the National Football League we’ve seen players like Luke Kuechly of the Carolina Panthers miss weeks as a part of the sport's concussion protocol. The same has occurred in the National Basketball Association, a sport that is a lot less physical than mixed martial arts. Yet somehow Bisping was able to insert himself into this main event slot in the place of the once again maligned Anderson Silva. But in addition to questioning Bisping and the medical process used to grant his clearance for this fight, it's worth questioning his team as well. Coaches and training partners are among the most trusted figures in a fighter's circle, and the men and women who are considered the best in those roles are the ones who provide honest feedback to their fighters or teammates. In a situation such as this, it would be interesting to learn what Bisping’s camp said to him. Were there any dissenting voices that didn’t believe such a quick turnaround was in the former champion’s best interest? Michael Bisping has made it clear that he’s nearing the point of retirement. He’s talked about leaving the sport this coming March, if he can headline the upcoming event in the United Kingdom. Many believe he’s saving the show at UFC Fight Night 122, but in doing so, it's worth questioning whether he is putting himself in unnecessary danger that could be avoided. Because it's clear that the answer to that question is a resounding yes.